Show other documents from Comodo.com TIP: Try comparing two versions that are closer to one another. When they're too far apart, the comparison may become unreadable depending on how many changes were made. Feb 11, 2018 Several new changes have been made throughout. Jan 14, 2013 This is the initial version that ParanoidPaul captured. It is not necessarily the first version of the document. 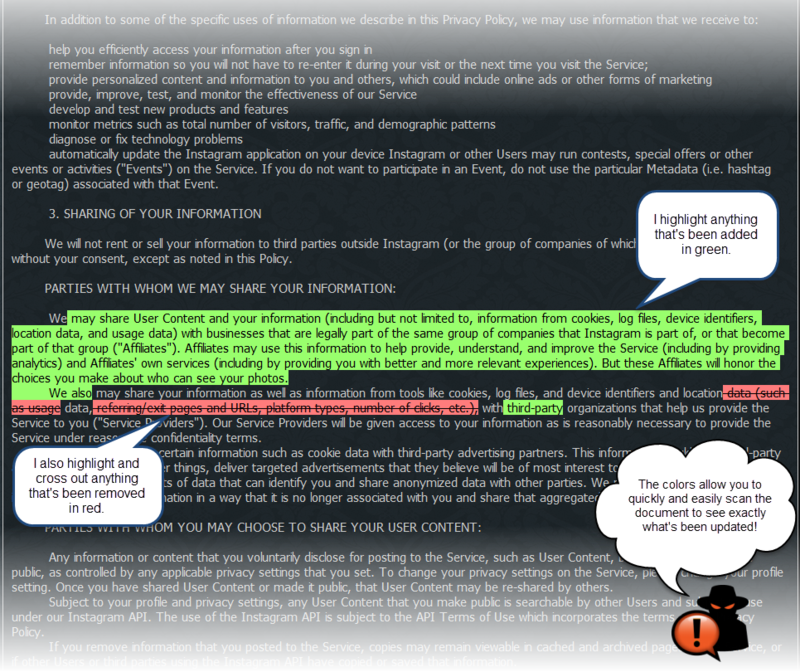 DownloadingComodo CA values your privacy. What information will bewe share. "ACCOUNT" refers to a CCM account, an E-PKI account, an S3 account, or any other account at a Comodo CA website for which you sign up and log in. "BASELINE REQUIREMENTS" refers the most recent version of the CA/B Forum's Baseline Requirements for the Issuance and Management of Publicly-Trusted Certificates, accessible here: https://cabforum.org/baseline-requirements-documents/. "CA/B FORUM" means the Certificate Authority and Browser Forum, a consensus-driven forum of certificate authorities (like us) and browsers that promulgates industry guidelines governing the issuance and management of X.509 v.3 digital certificates, and whose website is https://cabforum.org/. "COOKIES POLICY" refers to the most recent version of our Cookies Policy, accessible here: www.comodoca.com/en-us/. "CPS" refers the most recent version of our Certification Practices Statement, accessible here: www.comodoca.com/en-us/legal/. "EV CODE-SIGNING GUIDELINES" means the most recent version of the CA/B Forum's Guidelines for The Issuance And Management of Extended Validation Code Signing Certificates, accessible here: https://cabforum.org/ev-code-signing-certificate-guidelines/. "EV GUIDELINES" refers to the most recent version of the CA/B Forum's Guidelines for the Issuance and Management of Extended Validation Certificates, accessible here: https://cabforum.org/extended-validation/. Comodo CA collects personal information in accordance with industry standards mandated by the CA/B Forum (such as the Baseline Requirements and EV Guidelines) when you purchase or use Comodo CA products or its affiliatesservices or otherwise interact with Comodo CA. In most instances, you provide the information directly to Comodo CA, such as when you create an Account, sign up for a newsletter, subscribe to Comodo CA's services, use a Comodo CA website, download a Comodo CA product, or request further information from Comodo CA. When you purchase Comodo CA services or download a product, you will provide certain personal information. This information may include personal contact information, such as name, company name, address, phone number, and email address; billing information, such as billing name and address, credit card number, and the customer about Comodo'snumber of employees within the organization; or other similar information that may be necessary for us to provide you with products and services, includingservices. The information that you provide shall be used for such things as setting up or administering your Account, responding to your inquiries, providing you with product updates or improvements, and associated promotional material. Thismanaging other daily business needs, such as, for example, payment processing, account and contract management, website administration, troubleshooting, security and fraud prevention, corporate governance, reporting and legal compliance and business continuity. If Comodo CA would like to process that information may alsofor any other purposes, we will first provide you with sufficient information describing such additional use. When you order a certificate, you will be usedrequired to provide certain information depending on the certificate type (e.g. DV, OV, EV, SMIME, etc.). The exact informational requirements are listed in the CPS for your review. Certain of the submitted details will be displayed within the certificate, and, as collated general demographica result, will be publicly available. You have choices about your information, but if you choose not to provide necessary information when purchasing a product or service, or ordering a certificate, (for example, information necessary to improve Comodo'svalidate a certificate), then you may not be able to get that product, service, or certificate. To enable a better experience on our websites and provide you with better functionality and features in our products and services.services, we collect information about your interactions with Comodo CA, like the products and services that you use and how you use them. We may use technologies like cookies, browser analysis tools, or server logs to receive error reports or usage data from software running on your device or our website and applications. We may also obtain data from third parties to enhance our files and better understand our customers. Comodo's websitesYou can always control the use Google Analytics, a web analytics service provided by Google, Inc. ("Google"),of cookies, but if you choose to evaluate thedisable all cookies, it may limit your use of the Comodo site. Google Analytics places a third party cookiecertain functions or features on your computer that is then used to compile reports of visitor traffic and internet usage. Google analytics does not have a database of individual profiles for each visitor and only collects aggregate data.our websites, products or services. RE-TARGETINGFor more information on cookies and how we use them, see our Cookies Policy. Comodo permits the operationCA's websites use Google Analytics, which is a web analytics service provided by Google, Inc. ("Google"), to evaluate your use of a retargeting consumer marketing program, including, but not limited to, the provision of anonymous consumer information toComodo CA website. Google Analytics place a third-party providercookie on your computer that is then used to compile reports of suchvisitor traffic and internet usage. Google Analytics does not have a program. A link to the Network Advertising Initiative's consumer opt-out page isdatabase of individual profiles for each visitor and only collects aggregate data. For information on how Google Analytics uses data please visit "How Google uses data when you use our partners sites or apps", located at www.networkadvertising.org/managing/opt_out.asp and allows the consumer to opt-out of such retargeting programs.www.google.com/policies/privacy/partners/. Comodo CA uses log files comprising of non-personally identifiable information to analyze trends, administer the site, track movements throughout the site, calculate the number of document and file downloads, and gather broad demographic information for aggregate use. Comodo will share aggregated demographic and otherThis information with Comodo's partners and affiliates. Information providedmay include your IP address or other proxy servers you use to Comodo will be protected by Comodo and not sold or rentedconnect to any unrelated third parties without the express consent ofInternet, device and application identification numbers, your browser type, your Internet service provider (or mobile carrier), the information provider, except that Comodo may disclose data to its affiliatespages and business partners who have established similar privacyfiles you viewed, your operating system and system settings, and the location and time zone associated with your usage. Based on certain Internet standards, when legally obligated to do so, or if disclosure is required to protect the rights of Comodo, Comodo's customers, or the users of Comodo's services. Comodowe may also share aggregate demographic data that does not contain any personally identifiable information. Validation is an essential step in receiving a Certificate from Comodo. This validation may require verifying yourcollect information with a third party as described inabout the Comodo CPS. Comodo may disclosewebsite you were visiting before and the information provided towebsite you visit after you leave the extent necessary to verify the certificate application.Comodo CA website. Comodo CA has hundreds of some certificate types,resellers and webhosts that offer you our products and services for purchase directly from them. Comodo may use the WHOIS database, Government sourced companies house databaseCA enters into agreements with its resellers and webhosts containing adequate privacy safeguards and protections. When you provide information directly to these resellers or Dun & Bradstreet company lookupwebhosts, you are providing your information subject to validate the accuracyprivacy policies and practices of suppliedthose resellers. You should make sure to review and understand those policies and practices prior to sharing your information. This is an integral aspect of the services provided by Comodo. For more information on Comodo CA's resellers and webhosts, please contact privacy@comodoca.com. For Comodo CA to properly validate some types of certificates (such as EV Certificates) in accordance with industry standards, it is necessary for Comodo CA to supplement information that Comodo CA receives from you or a reseller with information that it gathers from third-party sources. As such, Comodo CA may verify the information you provide us with information from independent third-party sources. The types of certificates, allowable third-party sources, and other relevant information are outsidedetailed with specificity in the scopeCPS, the Baseline Requirements, the EV Guidelines, and the EV Code-Signing Guidelines. Information collected from these third-party sources will be used by Comodo CA to validate the ordered Certificate. This is an integral aspect of the services provided by Comodo CA and is required of Comodo CA to validate a certificate. Comodo CA also collects and receives certificate information from publicly available certificate transparency (CT) logs. Generally, certificates and CT logs do not contain personal information. CT logs were created in the public's interest to support public oversight and scrutiny of the SSL certificate system. The purpose of the CT log is to provide an open auditing and monitoring system to protect users and to prevent mistaken or malicious issuance of certificates. Comodo CA websites, products and services are not directed to children under the age of 16 and Comodo CA does not knowingly collect personal data from children under the age of 16. If Comodo CA becomes aware that a child under the age of 16 has provided personal data, Comodo will take steps to delete such information from Comodo CA's files as soon as possible. We are providing the below information about our retention periods to show you that your information is being processed with transparency. Our retention periods, however, are not responsiblefixed for all types of information and will vary for reasons such as whether the privacy practicesinformation is still necessary for the original purpose of the processing, to fulfill (or assert) our or your legal obligations (or rights), and/or to comply with applicable laws or industry requirements. As such, we reserve the right to revise such retention periods where we determine that the information is still, or is no longer, necessary for the purposes for which the information was processed. Information you give us to setup and administer your (or your organization's) Account (see list in section "INFORMATION YOU GIVE TO US" above). To provide you (or your organization) with the products and services requested and to properly administer your (or your organization's) Account, including for renewals, billing, and contract management purposes. Information that you provide us to issue a certificate (see list in section "INFORMATION YOU GIVE TO US" above). To validate and issue the certificate you ordered, and to comply with industry standards and other websitesrequirements. Our collection, use, and retention of such information is for the legitimate interests of Comodo CA and third parties, including compliance with our legal obligations and industry standards (such as the CA/B Forum's Baseline Requirements, EV Guidelines, and EV Code Signing Guidelines), network and informational security purposes, audit purposes, and fraud prevention purposes. Information that we collect about you from our resellers (see list in section "INFORMATION WE COLLECT AND RECEIVE FROM OUR RESELLERS AND WEBHOSTS" above). Information that we collect about you from our third-party sources (see list in section "INFORMATION WE COLLECT AND RECEIVE FROM THIRD-PARTY SOURCES", above). Information contained in an issued Certificate, including information published in CT logs (generally this does not controlcontain personal information). To ensure (i) certificates are not used for fraud, phishing, or other malicious uses, (ii) the accuracyauthenticity of issued certificates, and (iii) the integrity of issued certificates for network and informational security purposes. Our collection, use, and retention of such information displayedis for the legitimate interests of Comodo CA and third parties, including compliance with our legal obligations and industry standards (such as the CA/B Forum's Baseline Requirements, EV Guidelines, and EV Code Signing Guidelines), network and informational security purposes, audit purposes, and fraud prevention purposes. Information we collect from your use of Comodo CA's websites, products and services. Comodo CA has a legitimate interest in using this information to protect Comodo CA's systems, your information and the information of other Comodo CA customers. Respond to you when you contact Comodo CA about our products or services. Your name, email address and contact information that you provide to us in relation to events and other Comodo CA news. Plan, host and provide you with information about Comodo CA surveys, events, or other public forums. Provide marketing and promotional communications about offers, news or announcements relating to the Comodo CA products and services. Personal information submitted through a forum,Comodo CA may provide you with communication tools such as public forums, bulletin board, testimonial,boards, testimonials, or chat room operated by Comodorooms. Information that you post will be accessible to anyone with Internet access and may be collected, used, and read by third parties, including other users. You should always use caution when posting any of your information on a public forum as you have no privacy rights in public postings. Comodo CA is not responsible for any information submitted by you through these public services. Occasionally, Comodo will request information from customers via surveys. Participation in these customer surveys is voluntary. Survey information is used to improve this web site and Comodo's services and products. Comodo protectsOccasionally, Comodo CA may also request information both online and off-line. The transmission of information, including any payment information, is encrypted and protected using Secure Sockets Layer (SSL). Storedfrom you via surveys. Participation in these customer informationsurveys is kept in a secure environment where access is restrictedabsolutely voluntary. If you do choose to employees who needparticipate, however, the survey information you provide will be used by Comodo CA to perform a specific job (for example billing administration orimprove its website and the development team). Employees are required to use password-protected screen-saversComodo CA's products and keep their computers up-to-date.services. If you access the products, services or websites of Comodo CA's service providers, partners or other third-parties, you should review those respective privacy policies as well to understand what information is collected and how it is used by them. You can find more information changes, theyand details on how Comodo CA protects your information in the CPS. If your data is transferred to a server outside of Europe, we will ensure that it is protected and transferred in a manner consistent with legal requirements and applicable laws. Information can be transferred outside Europe in a number of ways. Examples include: the country to which we send your information provided. Changesmay be approved by the European Commission, the recipient may have signed a contract based on the "model contractual clauses" approved by the European Commission, obliging them to protect your information, or where the recipient is located in the US, it may be a certified member of the EU-US Privacy Shield framework. In other circumstances, the law may permit us to otherwise transfer your information outside Europe. In all cases, any transfer of your information will be compliant with applicable data protection law. You always have rights to the collection, use, or disclosure of your information. Remember, however, in certain cases, if you do restrict or object to the use of your information, then certain products or services that require that information may not be provided into you. You can also limit the Managecommunications that we send to you. Customers may occasionally receive information on products, services, and special deals from Comodo CA or may receive informational newsletters. Customers are given the opportunity to 'opt-in' to receiving these promotional communications at the time their information is collected. You may "opt-out" of receiving these promotional communications using the opt-out link provided in each promotional email or by emailing optout@comodoca.com. Even if you opt-out of promotional communications, we will still need to contact you with important administrative and transactional information about your Account section.and your use of the Comodo CA products and services. For example, we may contact you about new release or feature updates or with important security information about the products or services. Access to all issued certificates is provided through Comodo still providesCA's public access to both revoked and expired certificates to ensure a party relying onrepository. Because of the certificatenature of the services provided, there may still be able to retrieve thecircumstances under which a certificate is revoked. Furthermore, certificates have a finite lifetime and verify a signature made with the certificate. Such certificates are flagged as revoked or expired within the repository.will expire. Customers may occasionally receive information on products, services, and special deals from Comodo or may receive informational newsletters. Customers are givenDespite the opportunity to 'opt-out'finite nature of having information used for purposes not directly related to thecertificates, Comodo service at the point where the information is requested. Customers may also elect notCA still provides public access to receive additional promotional communications using the opt-out link provided in each promotional emailboth revoked and expired certificates for network and informational security purposes, audit purposes, and fraud prevention purposes. Such certificates are flagged as revoked or by emailing optout@comodoca.com. Customers may not opt-out of receiving service announcement updates as they contain important security information aboutexpired within the services.repository.